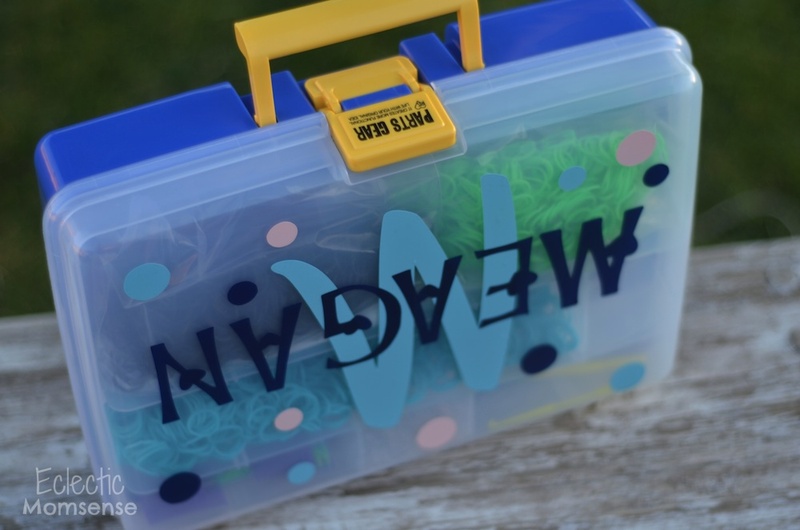 So your life has been overrun by tiny rubber bands? 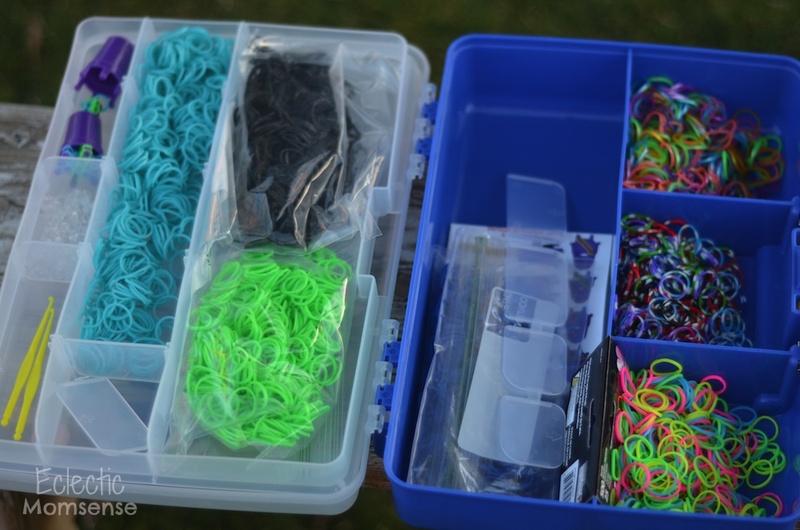 My little men are a little young for Rainbow Loom, but my cousin was recently visiting and had a birthday. I have to say that if I was her age I’d be right alongside her making bracelets. 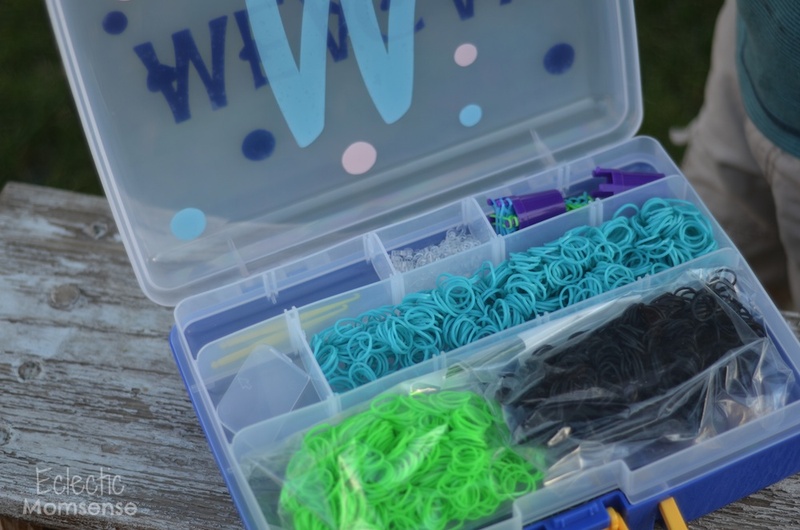 I’m a little Type A when it comes to organization so I decided to make her a little box to hold all those tiny bands, tools, and even a travel loom. There’s even room for her loom when she gets home. 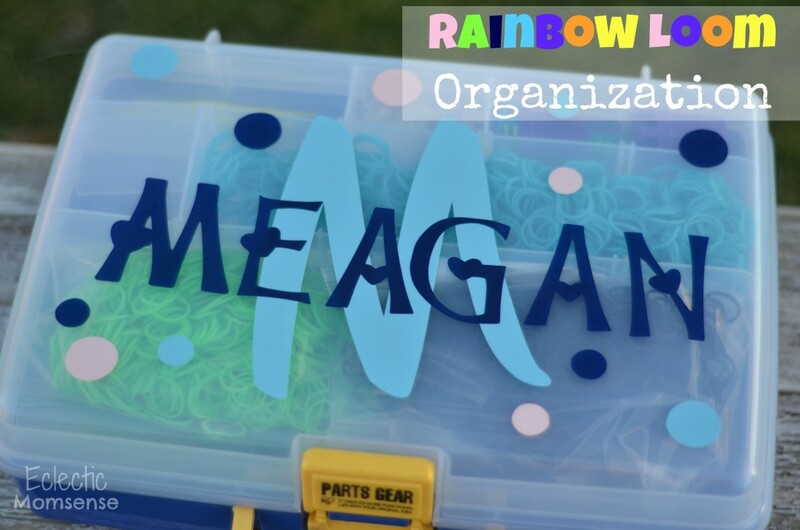 She was so excited about her Rainbow Loom organization. Any box will do. I choose one with large compartments that could fit those huge bags of bands. The craft store even had kit and caboodles like I had growing up. Keeping a plane ride in mind I went with a thiner box. The clear front lent itself as a perfect canvas to have fun. You could decorate with sharpies, paint, but I choose to cut out some custom vinyl on my Cricut. Such a simple idea to keep those bands under control. With just a little bit of time you’ll have the perfect personalized gift.